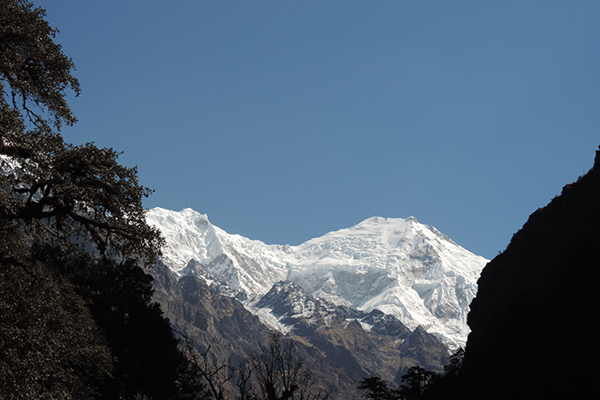 Famous for their picturesque and distinctive peaks, the valley between the two ranges of Langtang and the Jugal Himal is one of the world’s most beautiful. This narrow valley lies just north of Kathmandu and was designated Nepal’s first national park in 1971. 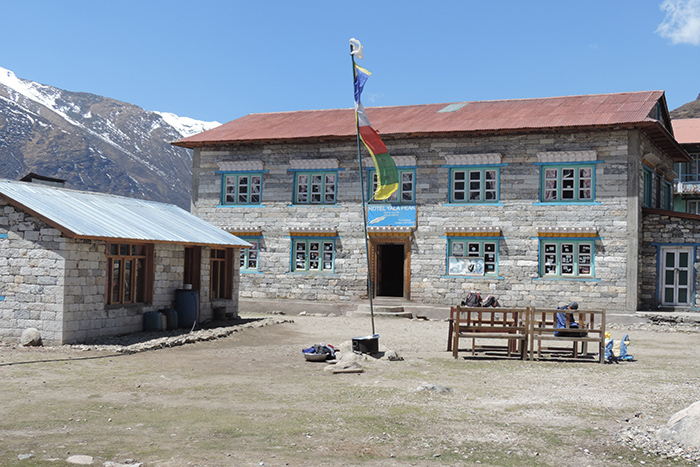 Trekking here offers the opportunity to explore Tamang villages, climb small peaks and to see glaciers at a relatively comfortable low elevation. Much of the route is through semi-tropical forests where moss covers the ground and lush ferns and orchids cling to tree trunks. During the full moon in August, the sacred lake of Gosainkunda is the where thousands of Hindu and Buddhist pilgrims come to bath in its icy water. Trek Grade: This trek is a Grade 3 but relatively easy with days of walking up to 5 hours. Although you climb above 3000m, you do this gradually. 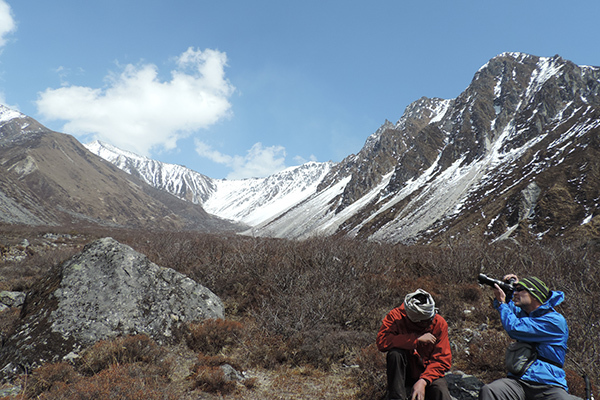 One day you reach 4400m but by this stage in the trek, you should be well acclimatized. TIMS and Langtang National Park Entrance Fee. Basic Tea House Accommodation in EP. Shivapuri National Park Entrance Fee. You have driven the scenic route up to Syabru Besi, an interesting village on the banks of the Bhote Kosi River. You arrive in the late afternoon and have time to explore the village. You start the trek by crossing a suspension bridge and the hike through a forest where you might see langur monkeys. From Doman (1680m) the trail climbs steeply over a rocky ridge to Paira Lodge (1810m), then climbing more gently to Bamboo Lodge (1960m). You continuing steeply upwards following the trail to Rimche (2400m) and Lama Hotel. Continuing upwards through a forest of hemlock, oaks, maples and rhododendron, you catch catching glimpses of Langtang Lirung. 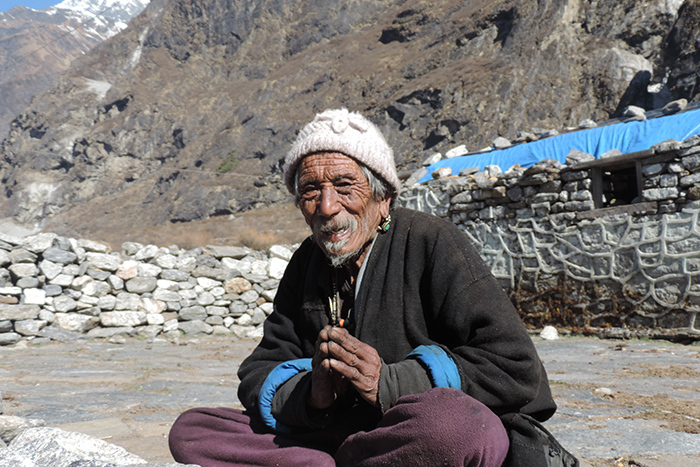 You reach Langtang Village that was built in a Tibetan style with stone walled fields and herds of yak. 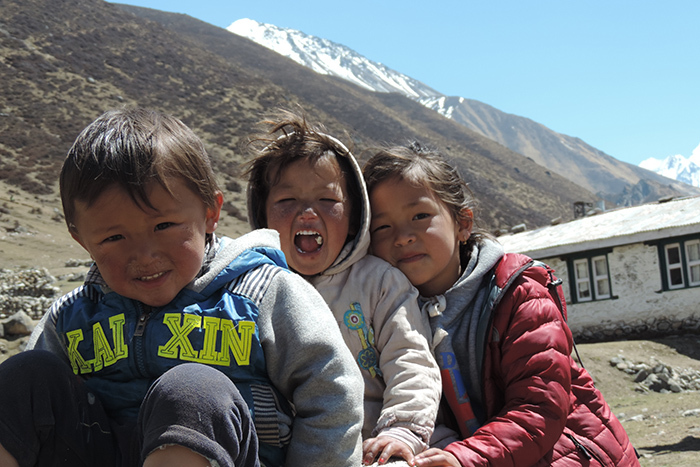 The trail climbs gently up through the Langtang Valley to Sindum and to Yamphu. 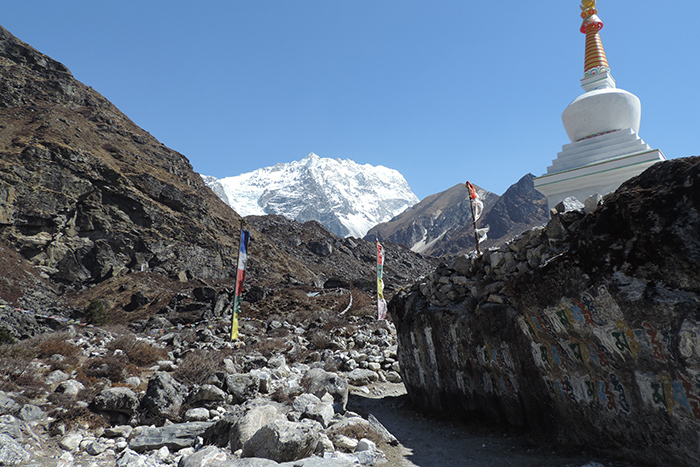 After crossing the Laja Khola, you climb the glacial moraine to a viewpoint from where Kyanjin Gompa and the dramatic icefall flowing from Langtang Lirung and Kinshung are visible. The trail then descends to Kyanjin Gompa. Though it is quite a long day, it is quite easy as you are retracing your steps, trekking back down to Lama Hotel. From Lama Hotel the trail descends through Rimche past Bamboo Lodge and Paira Lodge. You then climb steeply through the forest, crossing the river to Syabru village. Passing Schools and gompas the trail climbs steeply to Dursagang then continues through a forest of hemlock and oak to the top of a ridge at Foprang Danda. Although poorly cared for, Sing Gompa is the main attraction of Chandan Bari and houses a statue of Green Tara. The caretaker will unlock the chapel for a small fee. 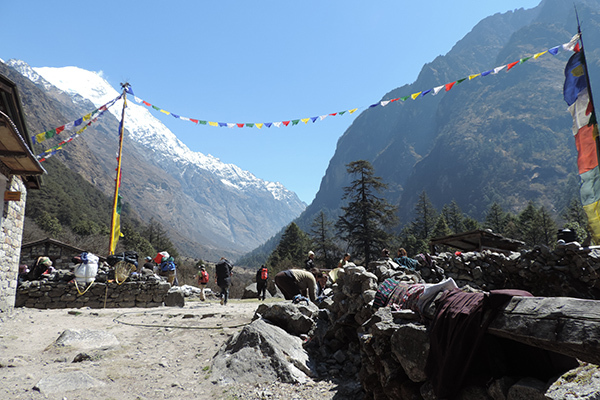 From Sing Gompa, the trail climbs gradually up to Chalang Pati from where you have views of Langtang Lirung, the mountains edging Tibet, and a majestic forest of rhododendron and pine. The route ascends up to a small temple with a statue of Sakyamuni and after climbing a bit further, you can get good views of Saraswati Kunda. You are high above the Trisuli Valley and after crossing another spur you are rewarded with excellent views of Bhairav Kunda. It is a gentle climb from here to reach Gosaikund. The black rock in the centre of Gosainkunda Lake is said to be the head of Shiva who is credited with the creation of the lake. 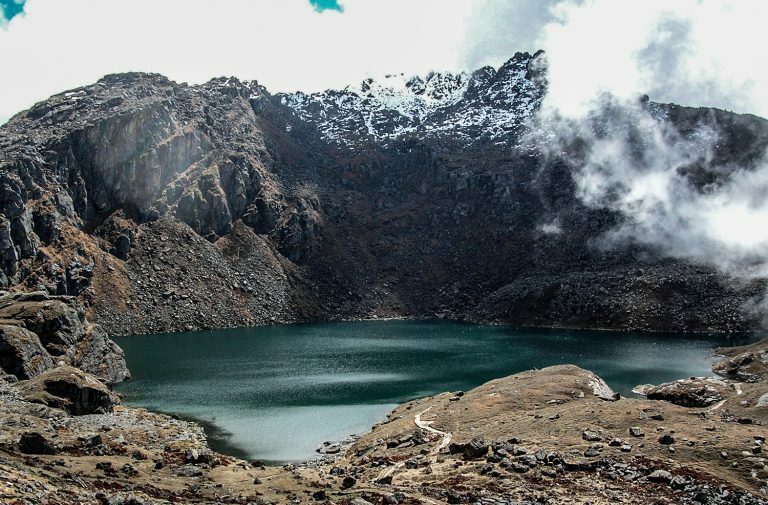 After trekking around to the northern side of Gosaikunda Lake, cross a moraine and pass three more small lakes to reach Laurebina La (4610m). The trail descends to a National Park Post at Bhera Goth (4240m) and to Phedi (3740m). From here the route undulates through scrub bamboo to Dupichaur (3630m) and descends finally to Ghopte. Descending from Ghopte there are a number of ups and downs to cross moraines before a final ascent to Tharepati. From Tharepati the trail passes through forests to Magen Goth (3420m) and to Penghu then descends through fir and rhododendron forest offering views of beautiful and glittering peaks on the way to Khutumsang (2450m). Finally, the trail descends to the delightful hill village of Gul Bhayang. You continue along the forested ridge to Thodang Betini (2260m) and then down to Chipling (2170m). Making a very steep descent to Pati Bhanjyang (1860m), this is a Brahman and Chhetri village. You continue on to Chisopani n time to admire the sun setting on its great mountain views. Hiking up through a forest of oak and rhododendron, you reach Borlang Bhanjyang (2440m). Then it is downhill to Mulkharka (1800m) from where you will have a spectacular view of the Kathmandu Valley before you descend through the forest to Sundarijal and the outskirts of Kathmandu from where you will be driven back to your hotel.